Headlines, experienced market commentary, and general sentiment continue to compete for our attention, but how do they stack up against cold hard facts and where are construction costs going to be in the residential construction market along the east coast over the next 12 months? 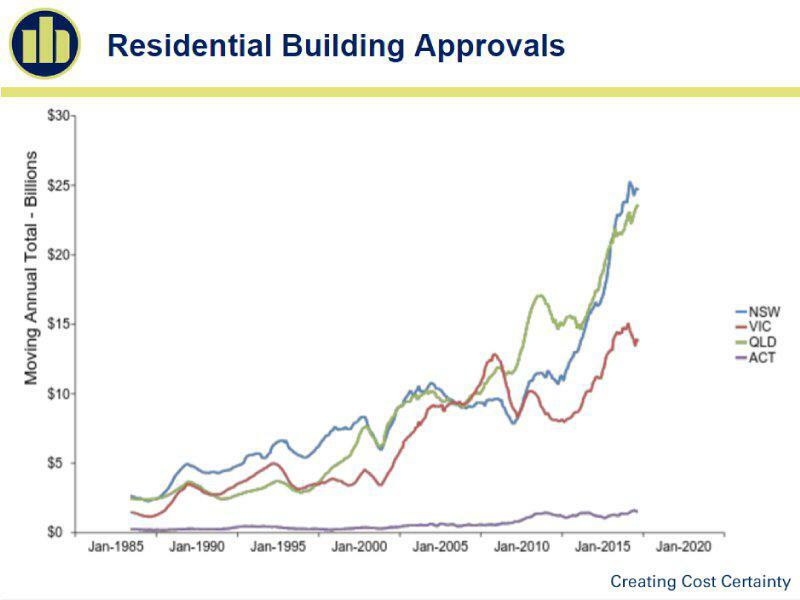 Approvals continue to dominate discussion with major capital cities remaining well above their long term averages. 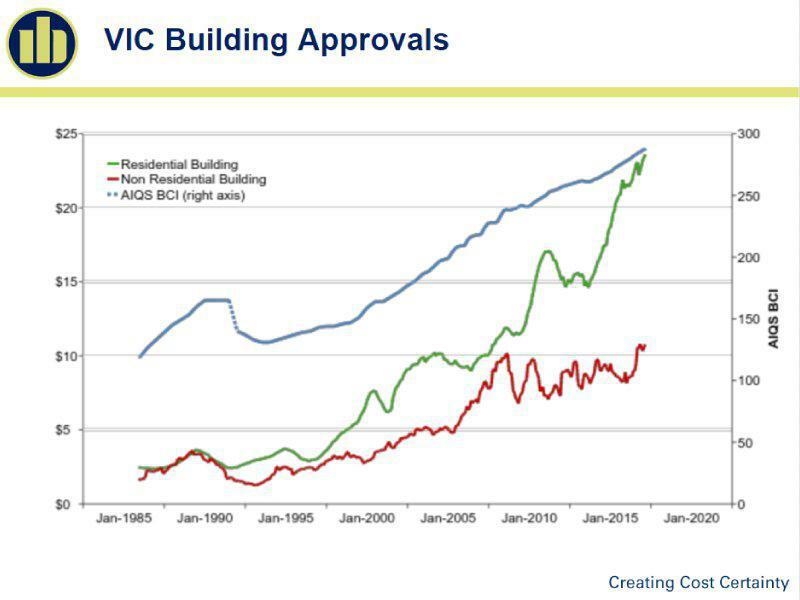 However cracks are starting to appear and when we drill into specific areas of residential approvals we can see that there are large fluctuations between States when it comes to low-rise and mid-rise approvals. While large 1000+ unit Developments continue to make headlines across all States, there is an often unremarked ground swell in the low to mid-rise townhouse and unit segment. Where Australian funding is required, Developers are finding that smaller projects are more easily packaged and more attractive to local purchasers. 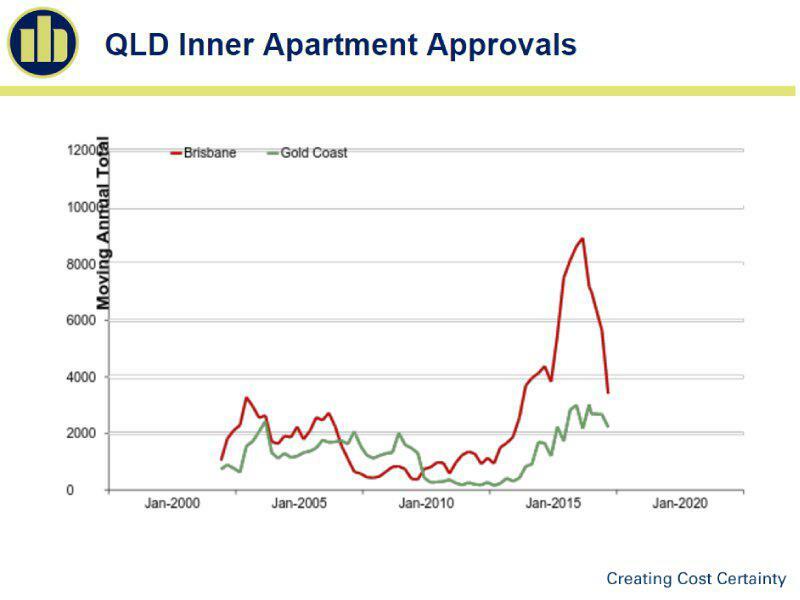 Drilling into South-East QLD, we are seeing overall reductions off peak approvals numbers, however when we look at Inner Apartments (4 levels and above) we can see approvals dropping to levels last seen in 2013. 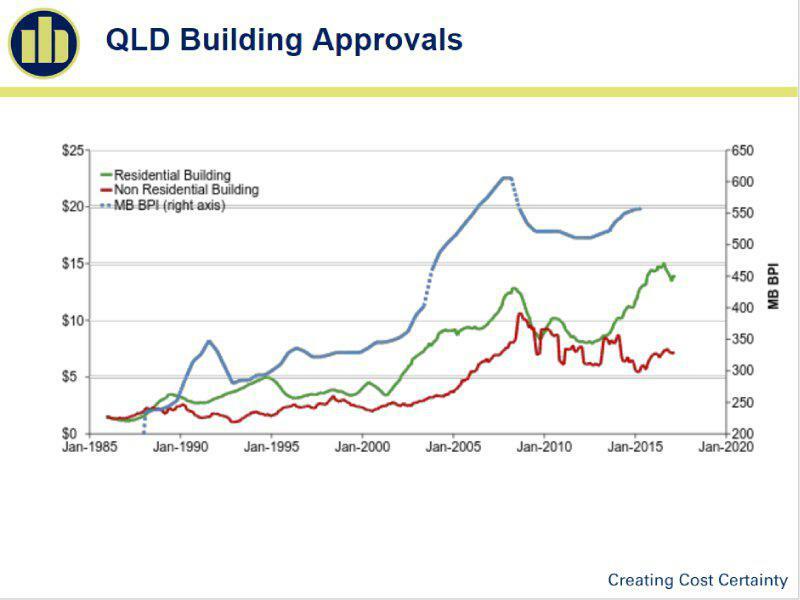 While approvals in Melb and Sydney continue to be a reasonable leading indicator of building work to commence, there is a distinct difference in Brisbane where some Developers are not able to gain pre-sales, finance, or make projects stack up against current market sale prices. As a result there are increasing numbers of previously approved apartment projects being moth-balled or trickling onto the re-sale market. Many of these will not make this construction cycle. The SEQ Market has softened across the board due to a slowdown in medium to large residential apartments and general market confidence, particularly within Brisbane. Finance for medium to large residential projects across Brisbane is difficult to obtain with financiers lifting CP's in relation to Pre Sales off the back of a concern of oversupply particularly in certain areas/suburbs of Brisbane. A distinct shift has been evident (and is expected to continue) with income producing buildings such as hotels, mixed use commercial, retail type developments, obtaining finance and replacing some of the activity previously seen in the residential sector. However despite the significant size of some of these projects, activity in these other sectors is not expected to counteract the slowing in activity overall and subsequent declining pressure on construction costs. Whilst pressure on construction costs is expected to ease, we do not expect prices overall will drop off dramatically at head contract level as seen in the last cycle where we saw prices come back 10%+, we expect overall prices will ease and plateau for a period. This may be a different story at subcontract level as trades take stock of a declining workbook and consider pricing accordingly to secure work. 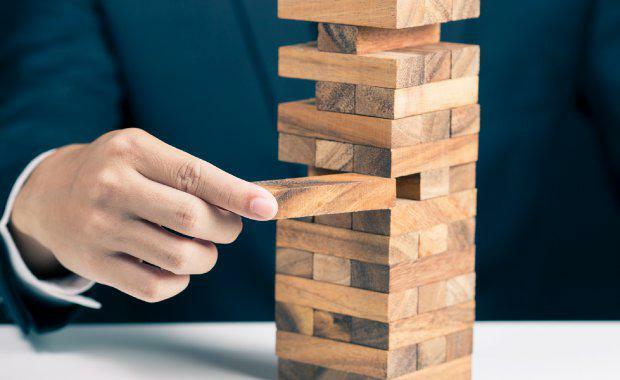 The market conditions are also seeing a trend of medium to larger head contractors scaling back their operations in SEQ and turning their focus back to their 'bread and butter" style projects or even retracting from the market completely. The Gold Coast remains a good news story and there is a growing belief that this is more than a ‘pre-Commonwealth Games‘ bubble. Developers are investing heavily in sites and many are planning on sitting on them until post-games. 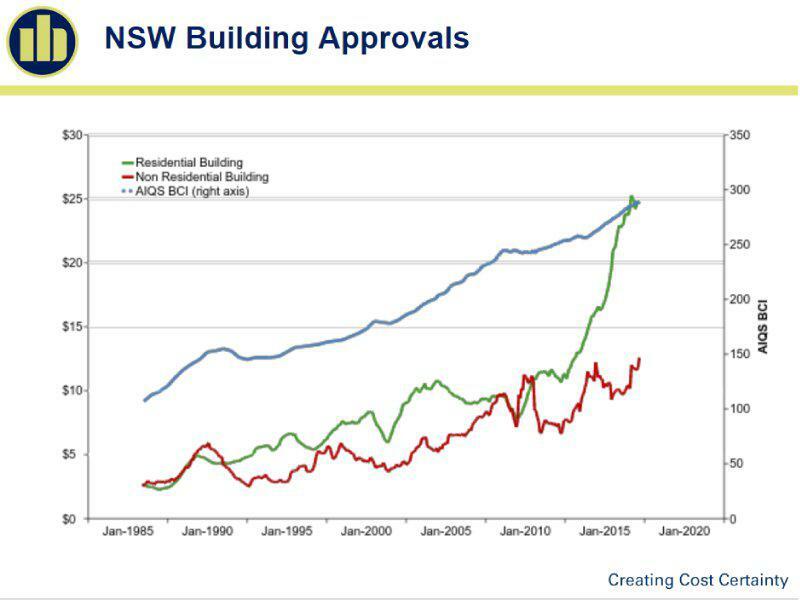 NSW continues a strong growth in both residential approvals and building work. This is translating into increasing difficulties finding finishing trades with preferred subcontractors reporting full work books. Contractors and subcontractors are remaining loyal to regular clients with whom they have good relationships which is heightening the difficulties for new or inexperienced developers and contractors looking for trades. Large sites continue to be impacted by union wage and condition pressures, and while demand for subbies remains high, this will continue to have spill over effects into smaller residential construction. Supply and demand have remained better than expected, predominantly for smaller more affordable houses and apartments. The NSW State Government appears to be amending planning laws to ensure affordability is made a priority and the supply for these dwelling types increase. There is still a risk lenders are 'blacklisting’ areas and changing borrowing requirements where localised product supply is high. Unlike other States, Infrastructure investment remains very strong due to government spending on roads and rail. Private spending on large subdivisions and growth centres is also fuelling strong growth in civil construction. Areas such as Illawarra and Wollongong continue to thrive off the back of both the growth in the Sydney market and increases in local amenity. Supply of residential apartments and subdivisions in these areas is growing in line with demand for a more affordable product. While residential approvals remain high in dollar terms, actual commencements are off their recent highs and are expected to remain so over the next 12 months. However, this doesn’t mean that there isn’t plenty of work in both the low and mid-rise residential sector. The construction market is supported by increases in Government and non-residential investment and there is confidence that the economy will continue to grow. While there remains wage growth pressure, the slight shift from large scale unionised projects to mid-rise residential and civil projects is having a dampening effect. 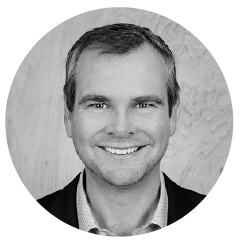 The Urban Developer is proud to partner with Mitchell Brandtman to deliver this article to you. In doing so, we can continue to publish our free daily news, information, insights and opinion to you, our valued readers.